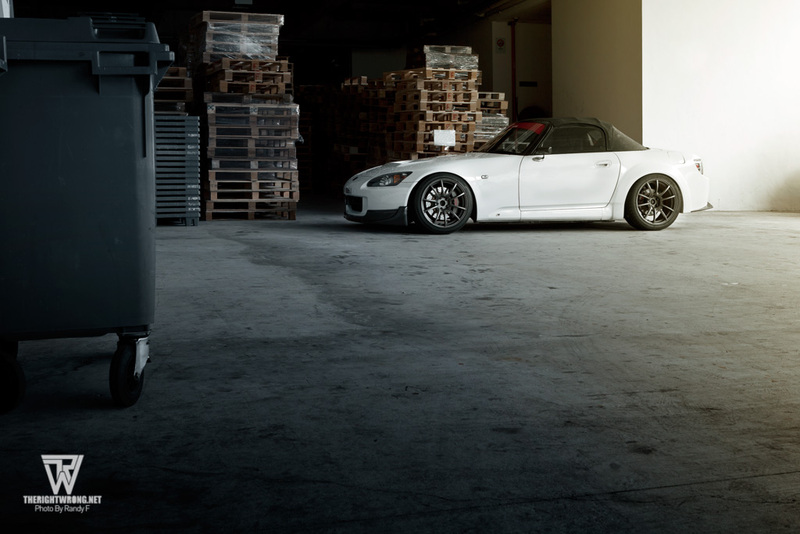 Feature: Brendan’s S2000. | The Right Wrong. Writers are often placed in a situation where we inevitably judge others by what they drive or do with their cars. Nevertheless, there’s no right and wrong, and we enjoy what we do for the passion and love for cars like many of you do too. Who’s to judge? I don’t wish to express intertextuality in this article compared to the features he did of my old rides. The car speaks for itself, and the possibility of whatever enters into Brendan’s wildest imagination to conceive here is thus triumphantly vindicated. More than it meets the eye. Brendan got his car more than a year ago from one of the handful of local racing drivers in Singapore. Motorsports is a scene thriving here, and what was supposed to be a race track development went bankrupt and now talks are being held for it to turn into a go-kart track. That didn’t stop Brendan from getting a car bred for the racetracks. He returned to his Honda roots after deviating with a kouki S14 where it was daily drifted. 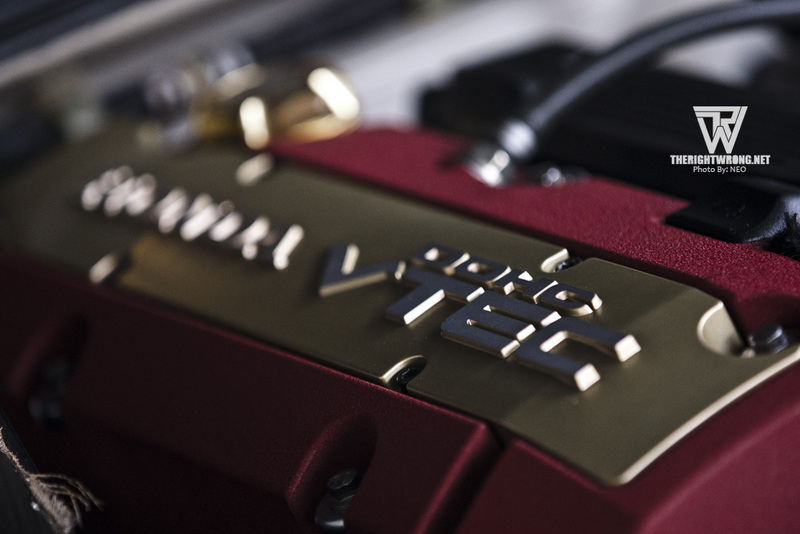 He loved how the rear wheel drive handles, but lacks the fun of having a raw VTEC powered engine. Only an AP2 has the answer. Personally having driven his car, there is a state of zen expressed throughout its skin, minimal as it seems, but all hand-picked for the win. Function is the key here, rather than having showy J’s Racing carbon fibre bonnet and boot in its clear appearance, Brendan had them painted over. A bold move, as the mindset here is that if a carbon fibre part is painted over, its worth as much as a FRP one in resale value. To fit the 9 inch wide Wedssport SA-55Ms in, the front fenders were pulled at a professional craftsmanship guru dealing with bodywork in the Northern part of Singapore. 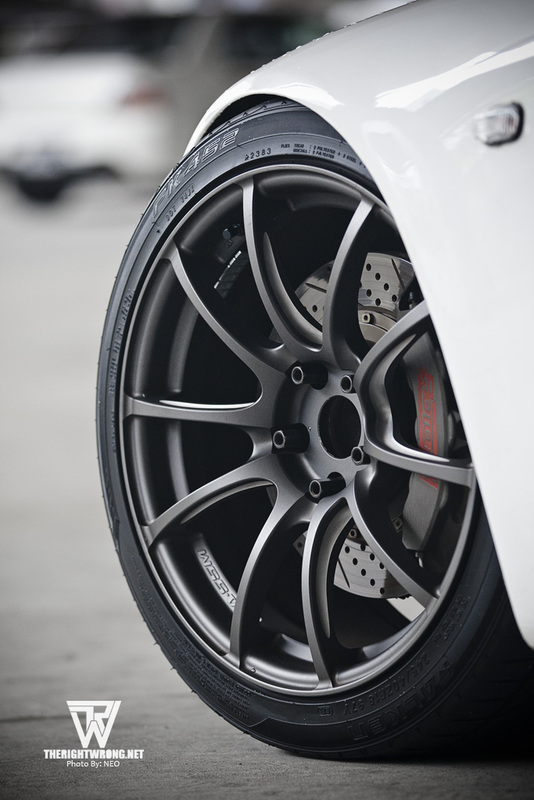 +36 offset was chosen up front encompassing the titanium 6 pot Rotora Clubsport calipers pairing with 355mm discs to fill every gap in that 18 inch wheel. A set of Spoon rear over-fenders allow a +20 offset with wide 265/35 FK452s to achieve a flush, practical stance. To most a lowered car may not be practical in Singapore with horrendously built roads giving an unforgiving drive especially the one located at the boastful “longest subterranean road tunnel in South-East Asia”. It seems more like we are driving on a subterranean surface rather than a road. Leaving a mark in your heart wherever it goes. 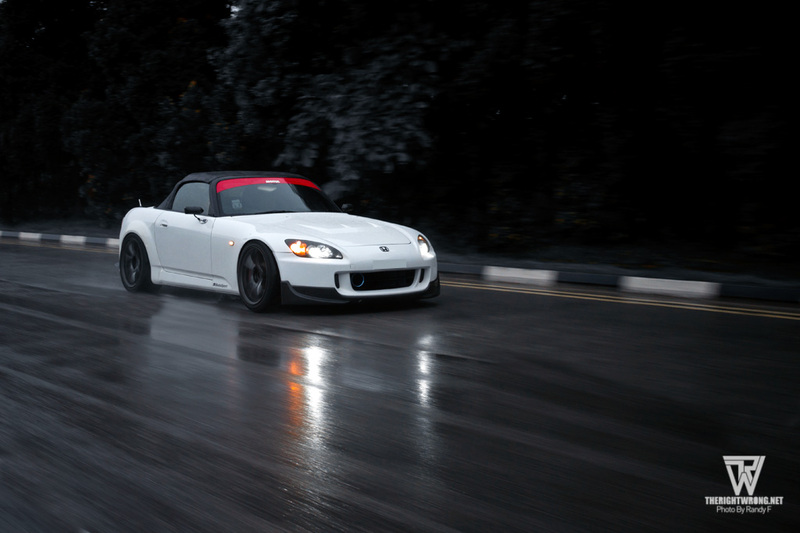 When Brendan’s S2000 was lowered on Quantum Racing RS 3-way Adjustable Coilovers with custom Swift springs, he knew the axles will stretched causing some faster wear and tear on the ball joints. He has fitted Megan Racing’s axle spacers to bring the axle back to its stock length when the car is lowered. Ain’t all show but no go. Handling is never compromised in his theory, having Ikeya Formula’s front and rear control arms, tie rod ends and rear undercarriage bars with a hand built custom subframe. 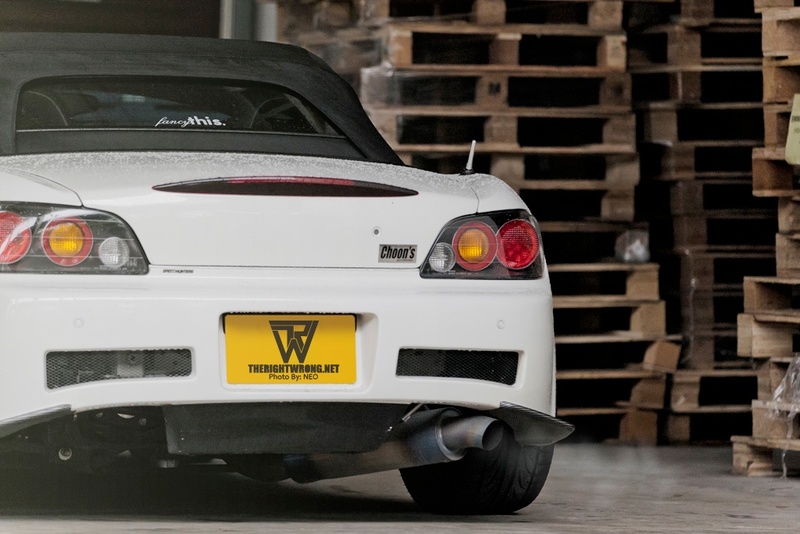 Everything isn’t visible with the naked eye, only one who gets behind the wheel of Brendan’s S2000 would wonder why it handles different from the rest. Other go fast bits making the handling so delicate are the Cusco 1.5 way limited slip differential, and J’s Racing tower strut bars to strengthen the chassis. The car is responsive as well as it handles. 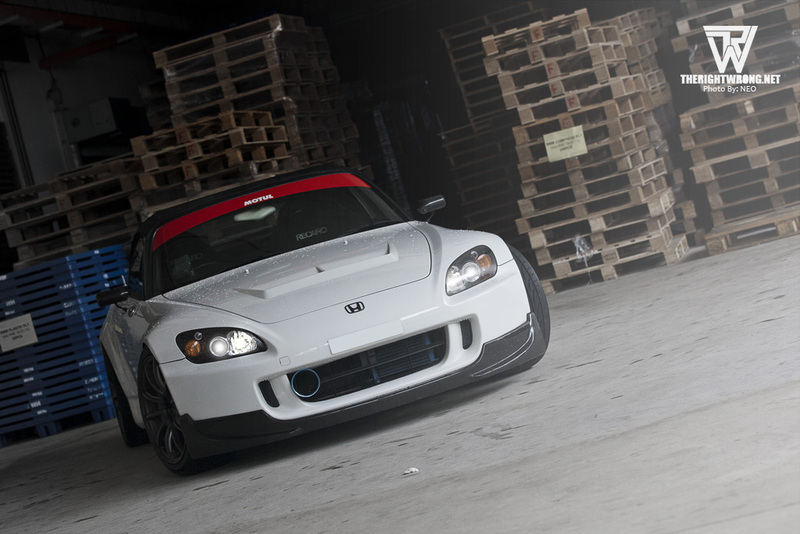 Unlike what is seen in the States where everyone gets a bolt on turbo to give S2000 owners more fun out of their machines, we have a hefty penalty for exhaust related modifications. Brendan has kept it normally aspirated, a Hondata Flashpro tuned 2.2 litre engine fed with a hand crafted fat tummy intake and expelling the power through a titanium J’s Racing exhaust. No expenses were spared in this car, having rebuilt it even after driving 20,000km till now, and adding a Koyorad triple-core radiator with Elites hoses, and not forgetting a Cusco oil catch tank accompanied with a secondary breather tank. 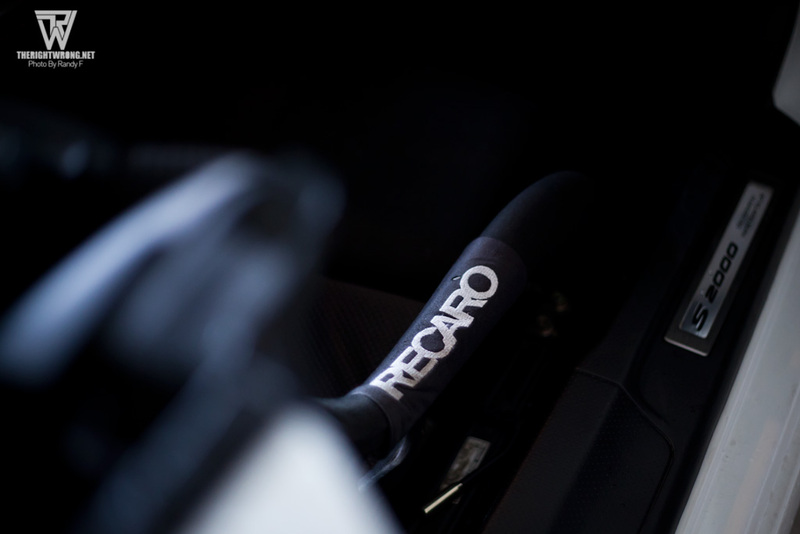 Inside the driver’s office, a Recaro RS-G accompanied with Spoon Sports steering and gear knob he brought over from his Civic EK4 Sedan. A Defi-Link VSD display keeps gauges down to a minimum. Having worked with 2 other automotive publications, Brendan decided to start his own. 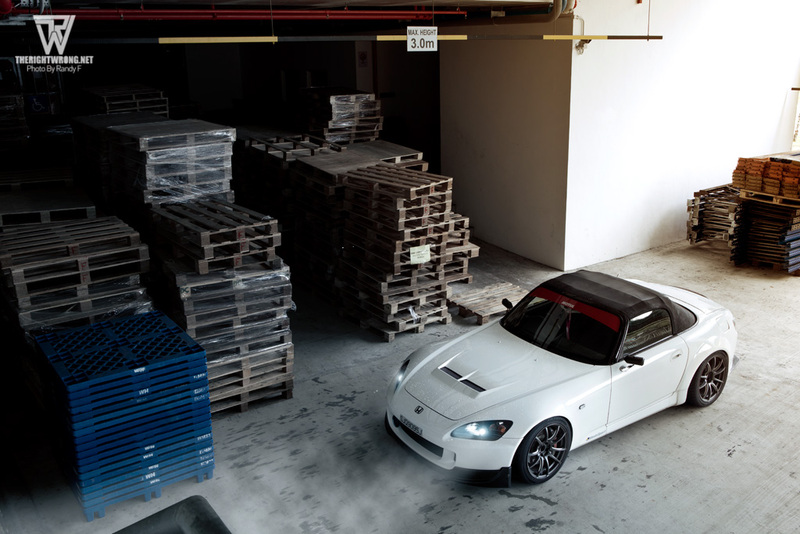 He even contemplated selling this S2000 to fund his upcoming free publication called Aftmkt. 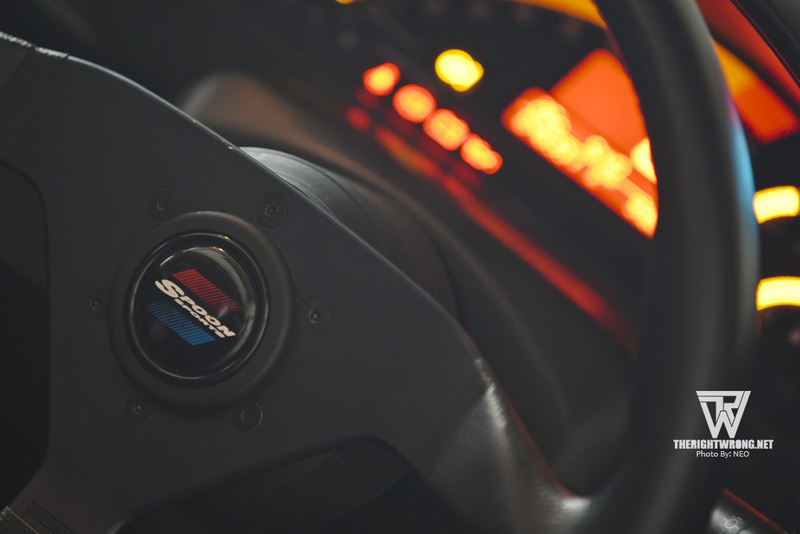 Aftmkt is a magazine that shows their passion for cars distilled onto paper. The technical knowhow and instructional elements of the Aftmkt magazine are what Brendan and his team hope to rely on for continued readership. They are trying to create a magazine they can be proud to call made in Singapore. Luckily he has decided to keep the car and start his magazine. You could read some of therightwrong’s articles in every issue of Aftmkt magazine before it gets featured here. You can grab your free copy at selected performance workshops and Esso service stations in Singapore island wide. Welcome to a greater form of automotive publication in Singapore. As usual, we got chased away by security guards again after this shot. This entry was posted in Photoshoots and tagged Aftmkt, choon's, honda, J's Racing, Lye Design, magazine, modified, Photography, photoshoot, Photoshoots, reader, s2000, sa-55m, sg, Singapore, spoon, therightwrong, therightwrong.net, wedssport by The Right Wrong. Bookmark the permalink. which workshop does fender pulling?